CarGurus has 43,087 nationwide Pilot listings starting at $500. In almost every respect, and despite this design’s age, the 2015 Honda Pilot still makes perfect sense as a family vehicle. 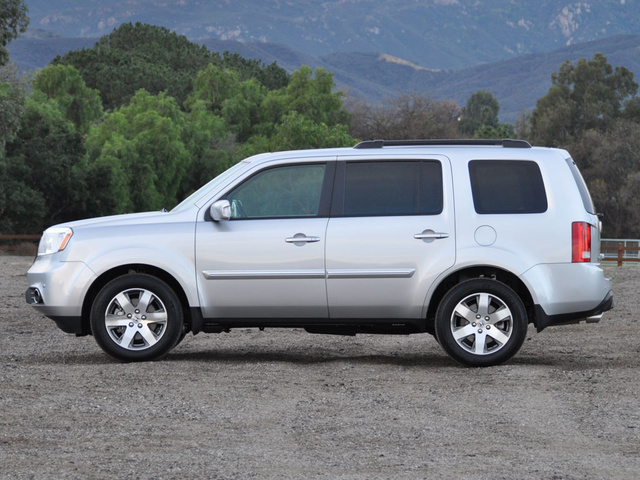 The 2015 Honda Pilot is a spacious, 3-row, 8-passenger crossover SUV perfectly suited for family shuttling duty. This is an older design, though, one Honda failed to keep up with the times. Those seeking the latest in safety and infotainment technologies will want to wait for the redesigned 2016 version. That new one is likely to perform better in crash tests, too. Look, man. You need a minivan. You need something to transport those you love in comfort, you need room for all your stuff, and you want something that’s easier to drive and less thirsty than a big, fat truck. You need a minivan, but you’re worried about the image that it conveys. So you opt for a crossover sport/utility vehicle. It’s not as spacious or as flexible as a minivan, but you’ve got an image to protect. I hear you, and so do millions of other people. Crossover SUVs have become the hottest selling vehicles on the market. 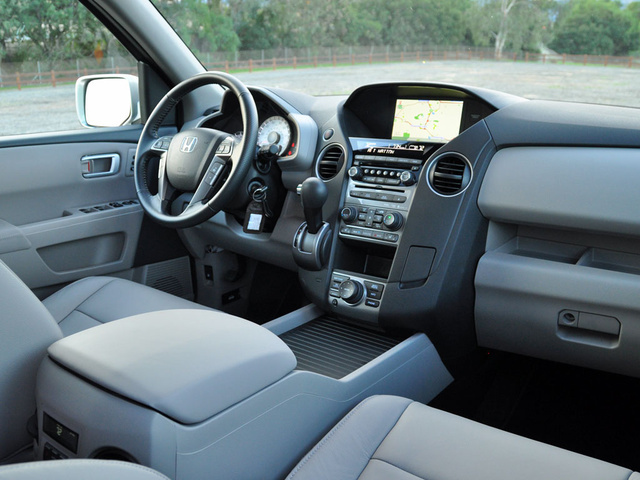 When the Honda Pilot first debuted in 2003, it was the perfect answer to consumers’ desire to drive a rugged-looking vehicle—and the original Pilot’s squared-off visage fit that bill—but enjoy a nice, soft, friendly interior that held a family and a substantial number of extra things in comfort. The result was a crossover with the driving demeanor of a Honda Odyssey minivan and the appearance of a rough-and-tumble traditional SUV. With the second-generation Pilot, which arrived in 2009, Honda zigged while others zagged, squaring the SUV’s lines even more and installing a terrifically functional interior. Today, the second-generation Pilot is 6 years old and provides limited options in terms of the newest infotainment and safety technologies. Some might call that a blessing, others deem it a curse. A solution arrives soon, taking the form of a redesigned third-generation Pilot that will share its guts with the Acura MDX. So here’s the question: Should you wait, or should you take advantage of great deals on the old Pilot? I borrowed one for a week in order to find out and learned that in almost every respect, and despite this design’s age, the 2015 Honda Pilot still makes perfect sense as a family vehicle. Pictured here is the Touring trim level. It’s the only version of the Pilot to get these wheels, and I’m not a fan. I like the wheels on the EX, SE, and EX-L models better. I’m also not crazy about the wide-eyed appearance of the headlights, which make the Pilot look perpetually surprised. But in all other aspects, the boxy look is just right, calling to mind old Isuzu Troopers. Inside, and especially with the gray leather, the Pilot almost has a hose-me-out appearance. That’s a deception, though, for the materials are of decent quality, and the Pilot supplies an impressive level of comfort and utility. But we’ll get deeper into that in a following section. Press the Pilot’s accelerator to rouse this Honda’s 3.5-liter V6 engine, which generates 250 hp at 5,700 rpm and 253 lb-ft of torque at 4,800 rpm. The numbers sound fairly unimpressive, but this engine delivers surprisingly good acceleration no matter the driving conditions. In the past, using a second-gen Pilot, I’ve taken 7 people to Las Vegas, in the summer, in 115-degree heat, with the air conditioning blasting, and the Pilot has zoomed up roasting mountainsides and crossed parched desert without an ounce of complaint. So I know this is one stout engine. Plus, it includes Variable Cylinder Management (VCM) technology that shuts down half the engine’s cylinders when you’re cruising on the highway to use less gas. During my latest week of testing, however, I got 18.3 mpg in mixed driving, falling short of the EPA’s 20-mpg combined rating. A 5-speed automatic transmission sends power to the Pilot’s front wheels, but my test vehicle was equipped with Honda’s Variable Torque Management (VTM) 4-wheel-drive system. While I didn’t need to engage the system, it’s nice to know that it sends power to the rear wheels when the fronts are losing traction. At lower speeds, you can even engage a Lock mode that splits the power evenly between the front and rear wheels for greater traction. Even though the Pilot is fairly large, heavy, and tall, it demonstrates relatively nimble handling. Thank the 4-wheel independent suspension for delivering a solid connection to the road while keeping nasty bumps out of the cabin. This is a stable crossover, too, as in the past I’ve needed to take evasive action on a freeway to avoid a collision, and the second-generation Pilot performed beautifully. The steering is a tad heavy but fairly responsive, making for an easy chore to wheel a Pilot around town. Where a Pilot is least capable is a tight and twisty road or a difficult off-road trail, but then few people buy one for either type of workout. Step inside the Pilot’s cabin and… behold the gray cave! Inside of my Pilot Touring test vehicle, there was gray, gray, and more gray, brightened up by a few black trim pieces. Seriously, this “upscale” Pilot Touring’s cabin looked like the inside of a U-Haul truck. But, just like a U-Haul, the Pilot is utilitarian, functional, and practical. When you stop to actually feel the materials that bedeck the cabin, you’ll find that while they’re not fancy, they’re of good quality and feel like they’ll be durable for years to come. The Honda Pilot’s chief appeal is its ability to swallow as much of your stuff as possible. The interior is immense, and pretty much everywhere you look, there are nooks and crannies to hold things and to keep drinks upright. From the trays and cubbies up front to the giant center floor console between the front seats, and from the tiered door panel cup/drink holder and bin designs to the storage bin in the trunk floor, the Pilot is loaded with places for a family to stash its stuff. Open its rear liftgate to reveal 18 cubic feet of cargo space with all 3 rows of seats in use. That sounds roomy, but the space is vertically oriented, measured to the roof. You’ll be happier if you fold the third-row seats down to enjoy 47.7 cubic feet. If you must maximize your cargo-toting capability, the Pilot provides 87 cubic feet when the second-row seats are folded down. All these figures are within reasonable striking distance of a Chevy Tahoe full-size SUV's. There’s plenty of space aboard the Pilot for passengers, too. I find the driver’s seat comfortable, but my husband had trouble dialing in the right amount of seat height, thigh support, and backrest angle. The front passenger’s seat lacks a height adjuster and cannot be adjusted for thigh support, which is an odd omission for this type of vehicle. We did like the parabolic conversation mirror that let us keep abreast of goings on with the children. The second-row seat is very wide and had plenty of space for 3 adults abreast, and even 2 child safety seats with an adult in between. The seats slide forward to create more legroom for passengers in the third-row seat, which is roomier and more pleasant than many of the Pilot’s competitors. Triple-zone climate control also aids comfort on cold or hot days. 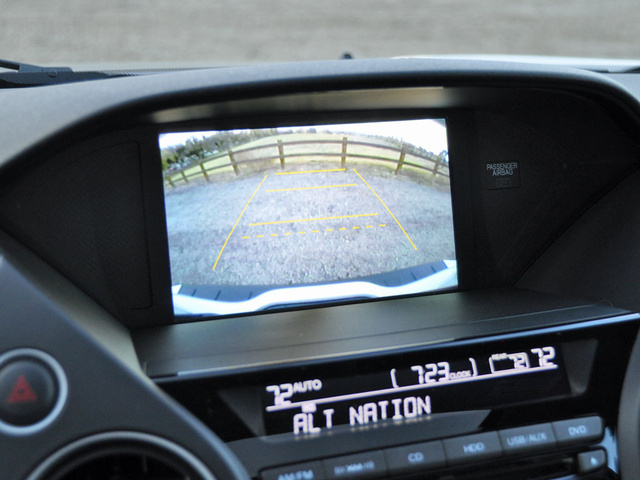 Honda likes to showcase its latest and greatest technological features in its newer vehicles. Their older models, not so much. So, for the Luddites among you, the simplistic Pilot may be a godsend. Don’t get me wrong. In a Pilot Touring, you’ll still be plenty entertained by the Bluetooth connection, satellite radio, hard-drive music-storage system, and rear-seat DVD entertainment system. Gamers will especially appreciate the 115-volt power outlet and video input jacks. Anyone seeking newer conveniences, or safety systems, or smartphone pairing capability, or connected services is left wanting after purchasing a Pilot. From the way the controls are laid out to the lack of features no matter how much money you have to spend, it's in this regard that the Pilot most clearly reveals its age. Highlights from the list of what you cannot get for a 2015 Pilot include automatic 9-1-1 emergency assistance following an airbag deployment, smartphone connectivity and mobile-app services, keyless passive entry with push-button engine start, a blind-spot information system, a forward-collision warning system, and a rear cross-traffic alert system. 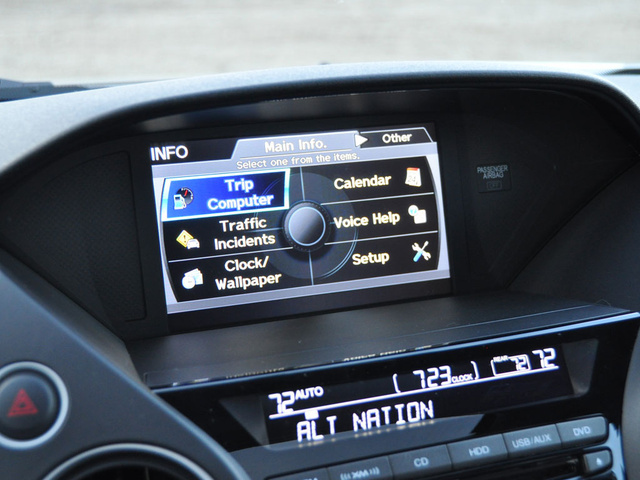 If any of these features are must-haves, you will want to forego the 2015 Pilot and wait for the 2016 version, which will be offered with all these features. The new 2016 Pilot will also employ Honda’s next-generation version of its Advanced Compatibility Engineering (ACE) body structure design, which is specifically engineered to perform well in a variety of collision scenarios, including the tough small overlap, frontal impact crash test performed by the Insurance Institute for Highway Safety (IIHS). This is a critical improvement for the redesigned 2016 Pilot, because the current 2015 Pilot does not protect the driver well in such a collision. 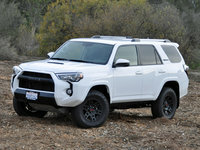 That IIHS test is designed to measure protection levels if a vehicle were to hit a tree, a pole, or oncoming traffic on the front left corner of the SUV, and the Pilot earns a Poor rating in this regard, giving me my only real reason to recommend a competing model such as a Nissan Pathfinder or Toyota Highlander. Secondarily, if you want active safety features like adaptive cruise control, collision warning, lane-departure warning, and a blind-spot information system, you’ll also want to look elsewhere. Personally, that latter feature is the only one of these safety systems that would impact my own choice of a new vehicle. In fact, the next time I buy a new car I’m ruling out all models that don’t offer blind-spot monitoring—that’s how important I think it is. For this reason alone, the Pilot is off my shopping list. It really is too bad about that Poor rating from the IIHS, because in other crash-test assessments the Pilot performs well. The National Highway Traffic Safety Administration (NHTSA) gives the 2015 Pilot 4 stars out of 5 stars for overall crash protection, while this Honda receives the highest rating of Good in all other IIHS tests. For 2015, Honda quietly added roadside assistance to its warranty program, offering free help with tire changes or other problems for the first 3 years or 36,000 miles of ownership. That helps to incrementally improve the Pilot’s cost-effectiveness rating. Unexpectedly, both Consumer Reports and J.D. 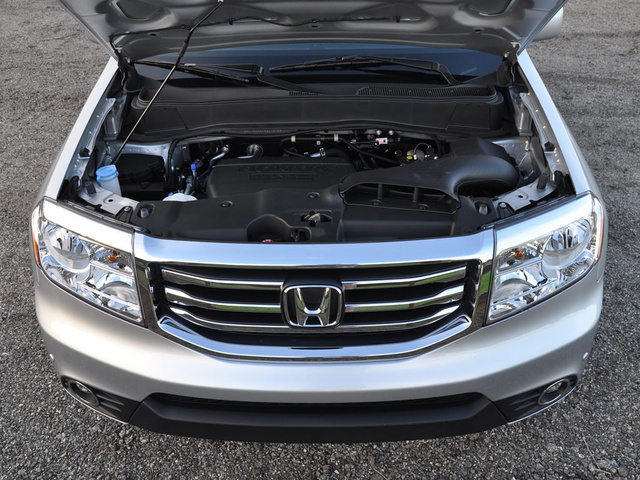 Power predict average reliability and dependability for the Honda Pilot. That my observed fuel economy of 18.3 mpg in combined driving came in appreciably lower than the EPA’s 20-mpg rating also dents a Pilot’s value equation. Still, if the lack of safety and infotainment technologies is not a concern, and you’re willing to overlook that Poor crash-test rating, a 2015 Pilot represents a screaming deal as Honda prepares to launch the redesigned 2016 model. Dealers do not want to have any leftover 2015s on the lot, so you’ll be able to negotiate huge discounts. 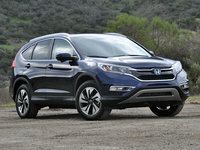 Plus, Honda will provide appealing lease deals on this roomy family-size crossover. 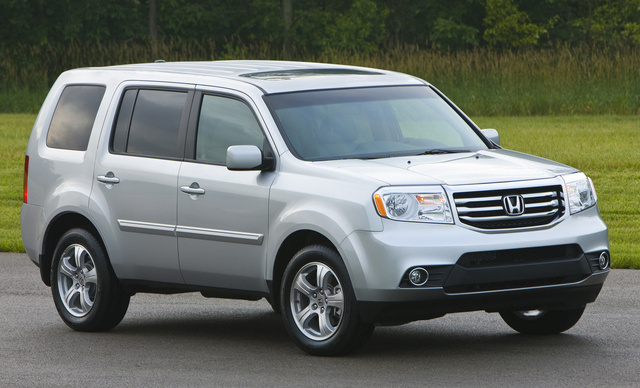 What's your take on the 2015 Honda Pilot? 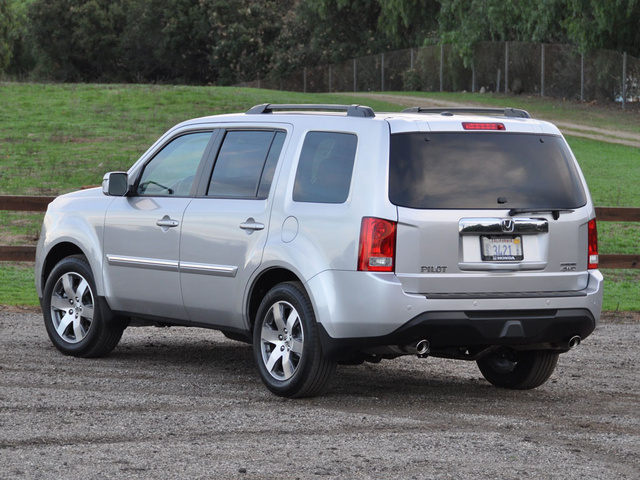 Users ranked 2015 Honda Pilot against other cars which they drove/owned. Each ranking was based on 9 categories. Here is the summary of top rankings. 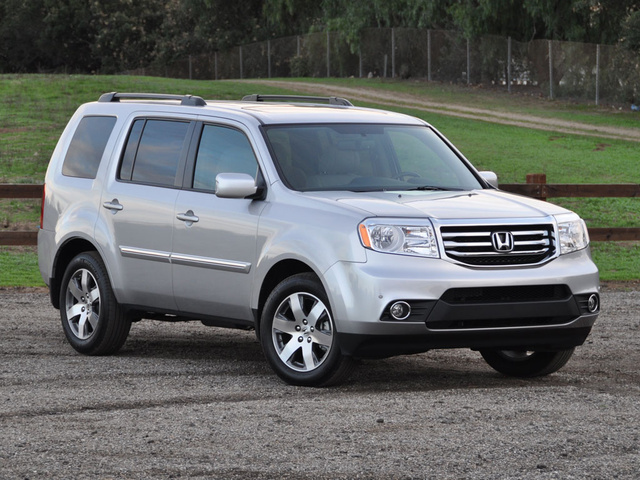 Have you driven a 2015 Honda Pilot? I want a used Honda EX-L w/dvd 4wd , Black colour. Leather seats and behind the driver seats and passenger seats dvds. Car idles fine, but when put into gear, reverse and drive it has a clunking sound... thuk... thuk... thuk.... anybody know what it could be? We Have Sold Our Car, How Do We Stop Our Car From Being On CarGurus?